Crossed a road in Manchester recently? Then you might have noticed the green man has taken a temporary hike. That’s because Siemens’ traffic division is marking Pride festival this weekend with four special diversity signals - representing lesbian, gay, heterosexual and transgender relationships. Inspired by similar designs produced for Pride festivals in Bournemouth and London, the diversity lights will remain throughout Pride festival (24-27 August), which launches this Friday and includes: the Big Weekend, headlined by Rita Ora and Alexandra Burke; the Parade, with a theme of ‘Circus of Acceptance’; the Superbia Weekend, which spans cabaret to conversations and film screenings; and the Candlelit Vigil finale. In total, 34 green men have been replaced for the initiative, which is supported by Manchester Pride Ltd - the charity behind the festival - and Transport for Greater Manchester. Locations include London Road and Fairfield St junction, Whitworth St and Sackville St and Princess St & Whitworth St.
Siemens PLC - which has an active LGBT+ community called Spark - will also be showing its support by sponsoring a wellbeing community café throughout the festival. Based at the LGBT Foundation on Richmond Street, the pop-up will provide a dedicated space for people to relax, meet other people and reduce social isolation. Mark Fletcher, Chief Executive for Manchester Pride, said; “It's great to see Siemens stepping out in support of LGBT+ people,” adding that the firm’s diversity traffic lights make LGBT+ issues visible in ‘a fun and engaging way’. Sand in your Eye’s giant castle apparently took over eleven hours and over eight tonnes of sand to make. 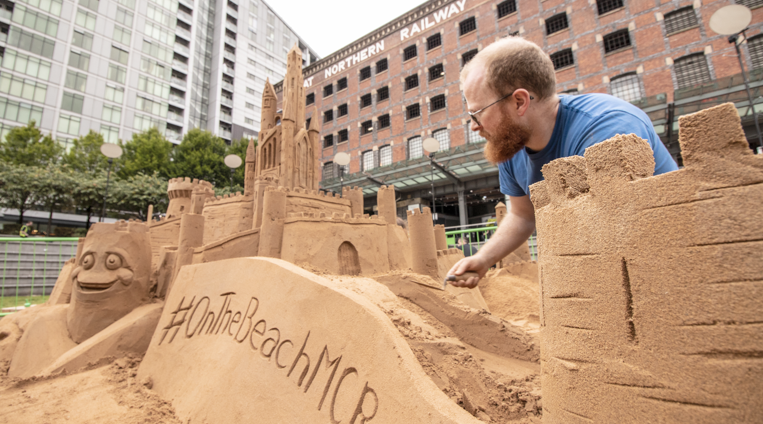 Located in Great Northern’s summer sandpit (until 4 September), it’s over two metres tall and even features its own sandman. Strong selfie game? Take a snap with the castle, tagging in holiday specialists On the Beach, and you could win a £1000 voucher to spend with them: full details here. 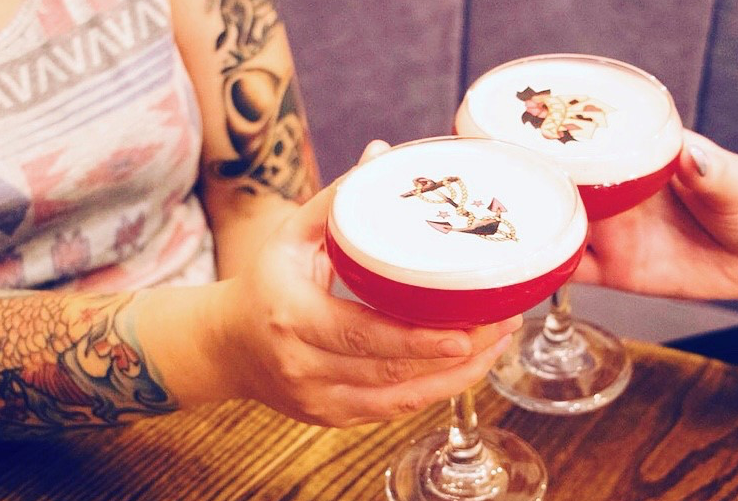 Ark nightclub is reopening this Friday, following an extensive £430,000 refurbishment, and one of its new offerings is an arty tattoo martini range. There are three edible paper designs - including the Manchester bee, Ark logo and Sailor Jerry’s tattoo - and personalised versions are available on special occasions. The Deansgate Locks venue is hosting a secret launch party on Thursday: find the hidden password on its Facebook page for entry and a free martini. Four years ago, Macclesfield artist Steve Bewsher found art inspiration in an expected place - his Costa loyalty card. 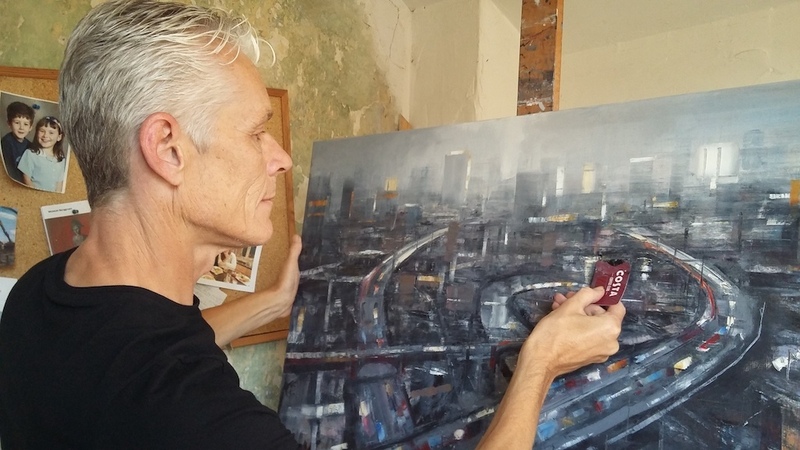 Ditching his brushes and palette knife, he’s since used the plastic rectangle to create over 200 distinctive cityscapes, occasionally popping in to stock up on his unusual tool of the trade. Now that’s what you call reusable plastic. Hale’s Gateway Gallery, which represents Bewsher, will be launching an exhibition of his work on 13 September.